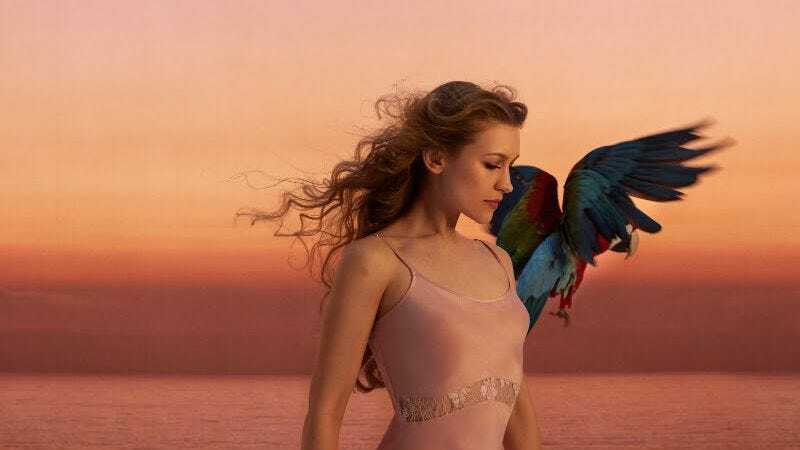 It’s been a busy five years for Joanna Newsom. She got married, was the subject of a tribute book, acted on Portlandia and in Inherent Vice, and contributed to a bunch of other peoples’ albums (including, of all things, the soundtrack to the 2011 Muppets movie). But one thing she hasn’t done lately is release a new album—her last album, Have One On Me, as released in 2010. But now Newsom has finally carved out some time to sit down with her harp and record a new full-length, Divers, which is set to be released on October 23rd on Drag City Records. The album announcement is accompanied by a music video for the album’s lead single, “Sapokankian,” directed by Newsom’s Inherent Vice director Paul Thomas Anderson. The video is as simple as Newsom’s music is intricate, with Anderson’s camera following the singer as she walks the streets of what looks like Manhattan as a chilly afternoon turns into a chilly evening. The video and a full track list for Divers is below.